Hi! We got home late Friday night after spending a week at the Jersey Shore with my mom's whole family (she's one of 7 kids, multiplied by 3 generations). We were in a little town in Cape May County called Sea Isle City. It is actually considerably nicer now than my memories of the place. We get a little spoiled with the Carolina beaches here, but it was a different sort of beach vacation for us and I thought I'd share some highlights here. I started using Instagram. You can follow me by finding my username, courtiepie (that's what my dad used to call me). I will warn you that in addition to sewing and crafting pictures you will probably see lots of boys, dogs and food! Before I get to those, I thought I would share a finish from Handstitched Camp over at Stitched in Color. Part of the reason I took this class was because I knew that Rachel would have amazing projects to make. I just love this little tote. It is the perfect size and shape. Okay, on to the vacation. We rented a little motorboat (actually 3 because so many people came) and went crabbing. It's pretty easy, you just cut up some fish (yes, I did that part) put it on a triangle shaped saftey pin (not the technical name) and wait for a crab to grab on. Then you pull the line up and catch the crab with a net and throw them in the bucket. 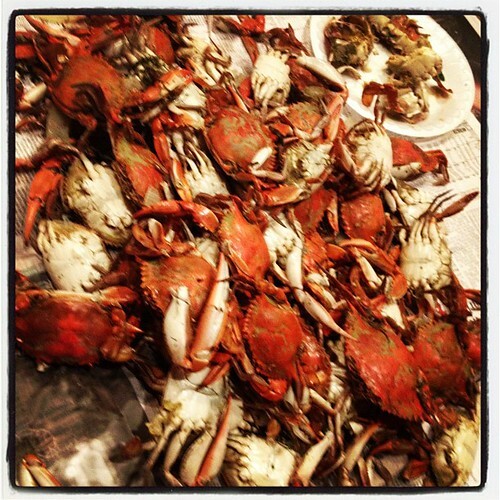 Funny story - being clumsy, I knocked the bucket over and crabs went everywhere in our boat. In the confusion I lost my balance, the boat began to wobble, and I thought I was going overboard (I can swim, I'm just not a fan of swimming in muddy, crabby marshes). I basically sat down in the marsh grass (we were pulled right up next to a big tuft of it) expecting to go straight through into the mud but it actually held me up. And no one got pinched. Everyone was happy to dock and walk next door to an old family favorite, the Deauville, for a beer and cheesesteak! Two of my cousins were at the shore in the house next door to us. Between them they have four girls. 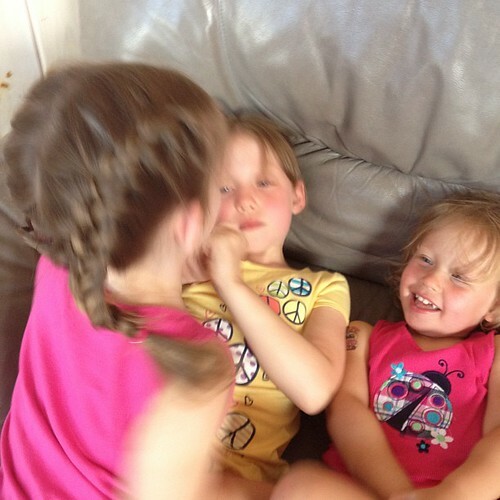 These three were ecstatic that I could do french braids and I was ecstatic for little girl time. The fourth doesn't have enough hair yet at 10 months. I tried to take their picture for about five minutes and that is the least movement of them all. 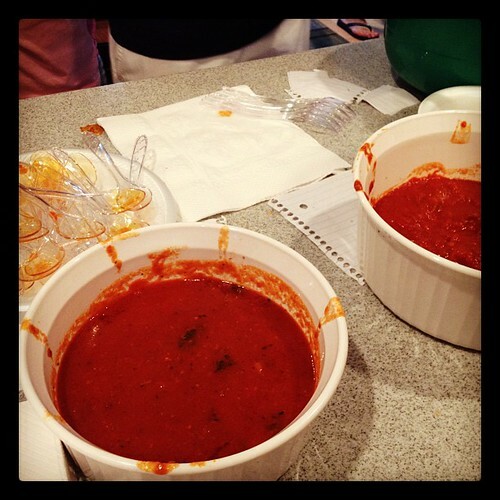 One night we had a much anticipated Sauce Cook Off to settle an old score between two great cooks in our family. This is the blind taste test. It ended up being dead even amongst the 40 dinner guests. 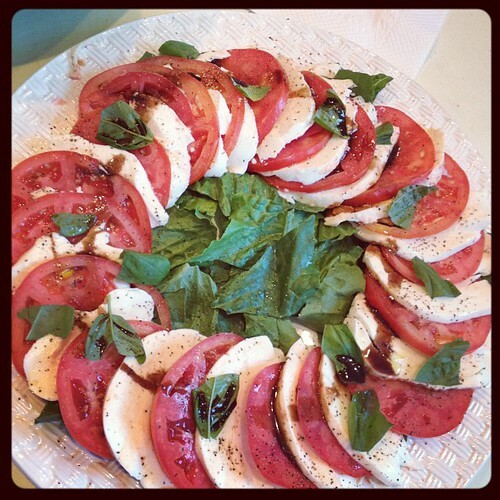 My contribution was a Caprese Salad. My cousin, Heather, and I found a farmer's market on a boardwalk walk the day before and scored some great tomatoes, fresh mozzarella and fancy balsamic. 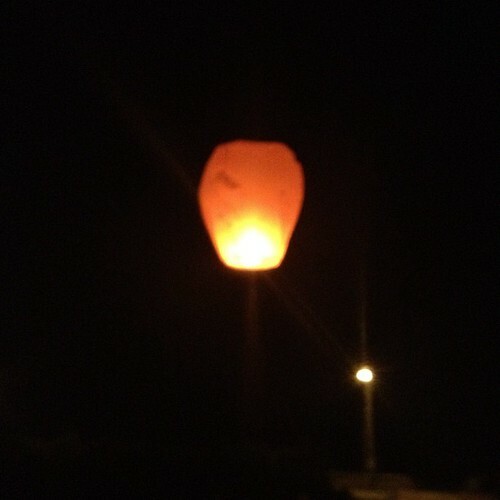 My aunt brought some Sky Lanterns that were just way too cool. We set them off the first night and then I ordered some more with my Amazon prime 2 Day free shipping and had another dozen for after the sauce cookoff. 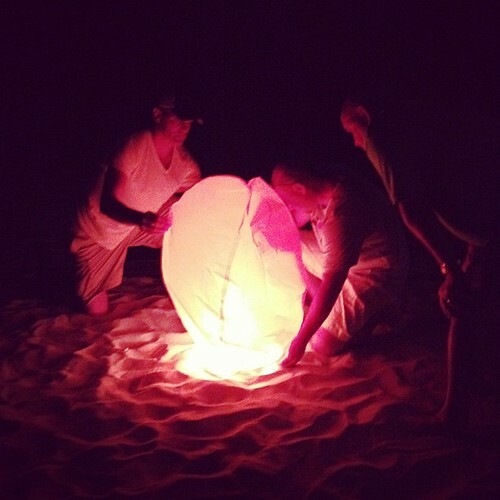 The whole family walked down to the beach to watch them float away. I have a couple happy memories in my head that I wished I had gotten on camera - getting ice cream with all the kids, having a planter's punch and she crab soup at Busch's with the adult kids, watching them play in the giant holes their bigger cousins dug in the sand for them, haivng a bike ride date on the boardwalk with Andrew, playing skee ball at the arcades on the boardwalk and playing in the waves with the kids. It was well worth the long drive to have such happy memories with my family. As a child I always went to the shore each summer with my mom's family, but now that we are far away it is so much harder to get back. Seeing my boys play with all of their (2nd?) cousins makes me want to do it every year. Glad you had so much fun on vacation. I live on the Jersey Shore, north or where you were at. So much fun to be had on the beach and boardwalk. 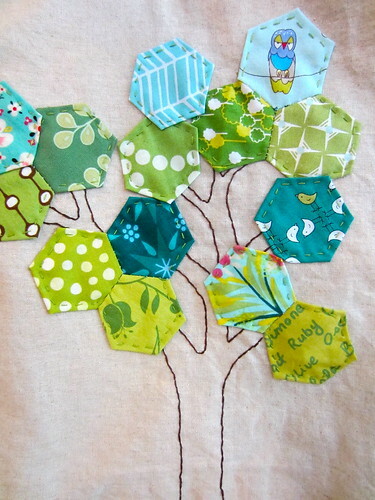 And I love your hexagon tree bag. Courtney - I'm a new Instagram user too! I just started following you. You will see me as "Imwithcharlie". 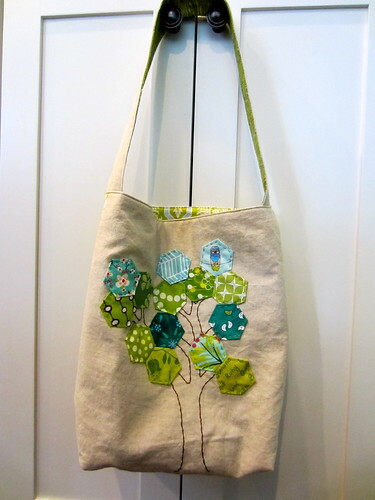 If that sounds familiar, it's cause I'm also in the Handstitched class and am "Sews with Charlie" on Flickr. Happy shooting!